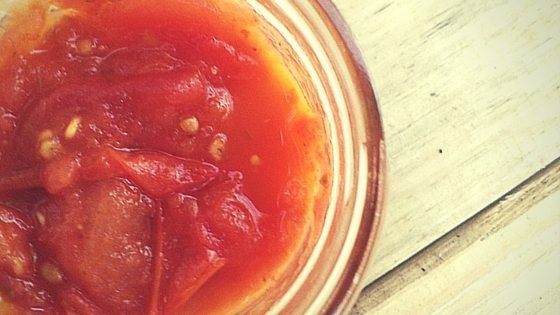 You are here: Home / Farm To Table / Classic Tomato Sauce – Homestead Style! Classic Tomato Sauce – Homestead Style! T’is the season – for tomatoes on the homestead. Which, of course, means it’s time to make tomato sauce! 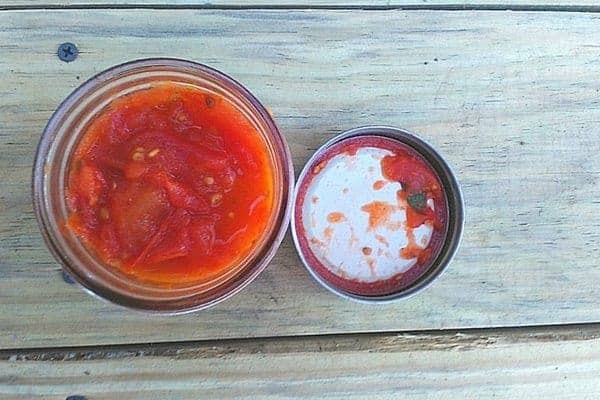 To preserve each and every tomato we harvest, I usually opt for making tomato sauce or salsa over simply canning stewed tomatoes or hot packing them. We might do a few jars of just plain tomatoes for soups, stews, sauces, etc., but spaghetti is big here, so tomato sauce it is (salsa is a close second!). Making tomato sauce is one way we eat seasonally all year – even if it’s not tomato season. Here’s a recipe for classic tomato sauce that has served me well over the years, and it only takes a few steps. This recipe yields two 1-quart size mason jars. Grab 5 pounds of fresh from the garden tomatoes. 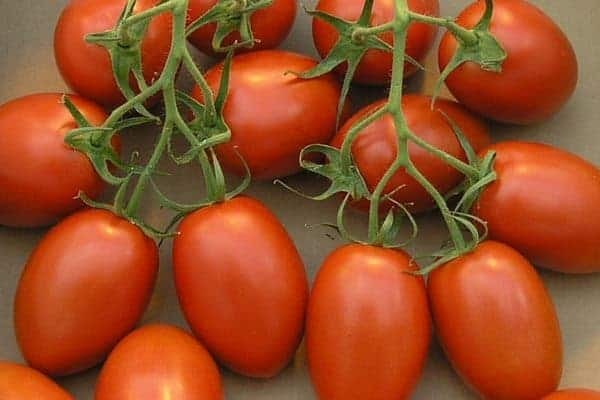 For this recipe, I use Roma tomatoes and the odd heirloom tomato that has managed to ripen before or after the other tomatoes on the vine. Any kind of tomato is fine, however, and you’re limited only by your imagination. I hate taking the skins off of any tomato. I hate waiting for the water to boil and for the skins to finally split. And those suckers always seem to take forever to split. So, I just make tomato sauce with the skins intact. Leaving the tomato skins on isn’t for everyone, so if you want to remove them, here’s how. If you want to remove the skins, bring a large pot of water to a rolling boil. Place as many tomatoes as possible in the pot. Meanwhile, grab a second pot and fill it with ice water. When your tomato skins split (and it’s pretty obvious when that happens), immediately remove your tomatoes from the boiling water and dunk into the ice water. You will need to remove the skins, but wait a few minutes until the tomatoes are cool. Even though the outside will feel cool, the insides will still be very hot. Remove the tops of the tomatoes, and peel off the skins. This will make them easier to mash. Saute the chopped onions in your pot with 1/4 cup olive oil until they are just translucent. As the onions are cooking, chop your garlic. I actually use scissors (dedicated kitchen scissors) for this – it makes cutting the tiny cloves easier and I can get the slices super thin. Add the garlic to the pot and cook until softened. Cut each tomato into small pieces about 1/4″ to 1/2″, and put them into a large pot. Crush the tomato pieces as much as possible – it will get easier as they heat up, so don’t worry if you can’t crush them very much. To the pot, add 1/2 tsp of salt, 1 tablespoon of oregano, and 1 tablespoon of basil. 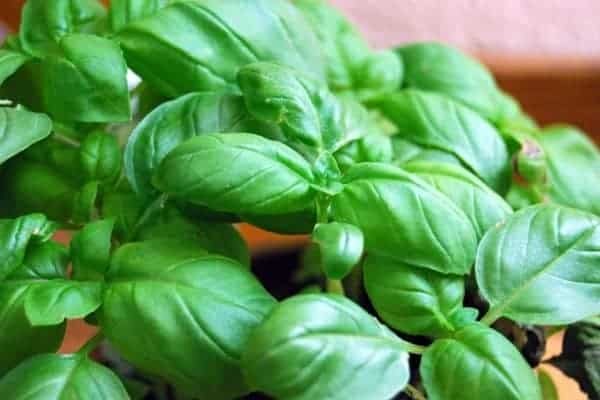 You can use dry basil for this, but I really recommend using fresh basil if possible – it tastes so much better than dry, and it will really lend that Italian bistro flavor to your tomato sauce. You will add more herbs as the recipe goes on – remember to season as you go because the flavor of herbs changes as they heat up. Add 1/2 tsp of cracked pepper, and any other herbs or spices you want (some people like red pepper flakes for some heat). Sometimes I add 1 cup of Merlot, but it’s completely optional. Heat until boiling, and simmer for 1 hour, or until the tomatoes are completely broken down. Taste as you go along, and adjust the seasonings to your taste. 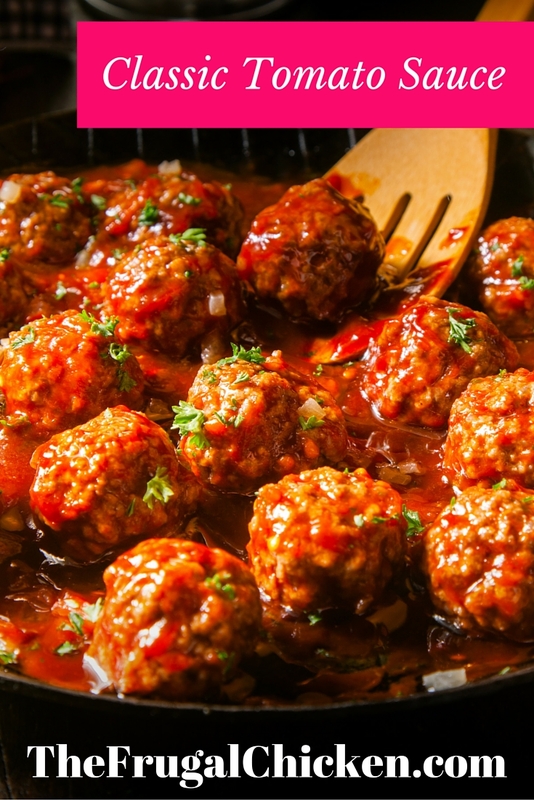 There really is no set formula for this – just keep tasting the sauce and adjusting as necessary, keeping in mind that you will add more basil at the end. This should be a fun process, so don’t worry too much – have fun and experiment! If it’s not perfect, that’s okay – there will be other opportunities to refine and test your recipe. Once the tomatoes are completely broken down, add the other 2 tablespoons of basil and simmer for another 15 minutes. When the tomatoes are broken down and the taste is okay for you, remove the sauce from the heat and add 2 tablespoons of olive oil. The sauce will thicken as it cools. Spoon into your clean mason jars, being sure to use a funnel to avoid spilling any. Some people prefer their tomato sauce chunky and some prefer it smooth. This recipe makes two 1-quart size jars. Canning tomato sauce is easy, and for water bath canning times, refer to Ball’s Blue Book. Which are you, a chunky sauce person or a smooth tomato sauce person? Leave a comment below!